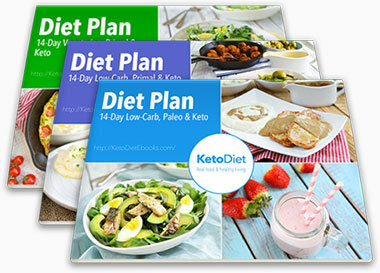 When you transition to a ketogenic diet, it is important to select sweeteners that are truly low in carbohydrates. Allulose is a new low-carb sweetener that is said to have the same sweet taste as sugar but with minimal calories and carbohydrates. It provides 0.2 kcal/g compared to 4 kcal/g of table sugar. Similar to glucose and fructose, allulose is a monosaccharide, otherwise known as a simple sugar. In contrast to this, sucrose (or table sugar) is known as a disaccharide, made up of glucose and fructose together. Allulose is a primer of fructose meaning it has a similar chemical formula but with slight structural variances. This structural difference is believed to prevent your body from metabolizing allulose the way it does fructose. Although over 70% of the allulose you consume is absorbed in your blood, it is eliminated in the urine before it can be metabolized for fuel (1, 2). It has also been shown to cause minimal fermentation in the gut (1). Meaning it will have a low likelihood of causing bloating or excess gas like other common sweeteners such as stevia, erythritol and xylitol (3). Also known as D-psicose, allulose is classified as a "rare" sugar naturally found only in a small quantity of foods including wheat, figs, jackfruit and raisins. Allulose can also be manufactured in large quantities using fructose. As well as being lower in carbohydrates and calories, there are several studies which are investigating the potential benefits of allulose. There are several studies reporting that allulose can directly aid fat loss. In a study carried out in rats, D-psicose was shown to inhibit dietary fat absorption in the small intestine, whilst increasing β-oxidation in fat tissue (4). 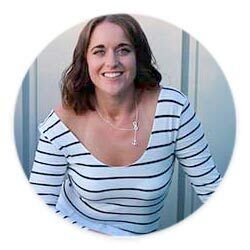 Another study looked at the particular effects of supplementation of allulose, sucrose or erythritol coupled with a normal or high-fat diet for 8 weeks (5). Allulose-fed rats exhibited lower weight gain, food efficiency ratio and fat accumulation, than erythritol or sucrose fed rats. This kind of study has been replicated in other animal models, all showing that supplementation with allulose, can reduce diet-induced obesity (6, 7). In humans, the data is slightly more limited. The fat loss abilities of allulose supplementation was tested (6%) in 34 humans for 12 weeks (8). Supplementing with allulose reduced body weight, body fat percentage and waist circumference. However, the results of this study were not significant. In a similar study, 121 people given 7 g of allulose/day did have a significant decrease in body weight, body mass index (BMI), body fat percentage and body fat mass compared to control groups (9). In particular, subcutaneous fat areas decreased significantly in the D-allulose group compared to placebo. As well as being a regulator of lipid metabolism, allulose is believed to be a key regulator of glucose metabolism. A number of animal studies showed that supplementing with allulose lowered blood sugar and increased insulin sensitivity and thus improving hyperglycaemia (10, 11, 12). 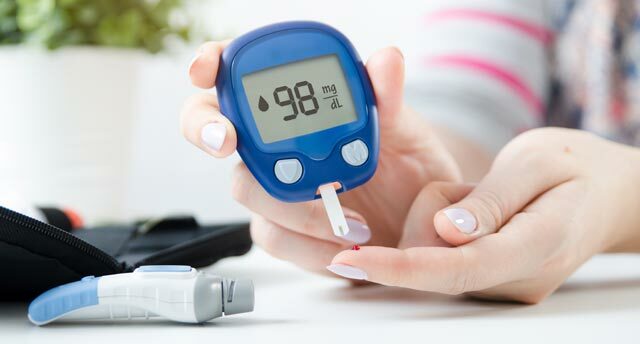 One of the potential mechanisms causing this effect may be through the protection of the pancreatic beta cells normally injured by hyperglycaemia (13). All of these proposed mechanisms could lay claim to D-allulose being able to protect and reduce the risk of the development of type 2 diabetes (14). In a study investigating the long-term effects of allulose, diabetic rats were fed 5% allulose dissolved in water and control rats fed only water (15). After 60 weeks, those fed with allulose prevented the commencement and progression of type 2 diabetes through the mechanism of blood glucose levels, decrease in body weight gain and the control of postprandial hyperglycaemia, with decreased levels of HbA1c in comparison to non-treated control rats. Whilst still early, research in humans also suggests that allulose can have the same beneficial effects on blood sugar control (16, 17). In a randomized, double-blind placebo-controlled trial, 26 subjects consumed zero or 5 g of allulose along with a standard meal (17). Blood sugar levels after the meal were measured every 30 minutes for two hours. The blood glucose was significantly lower 30 and 60 minutes after the meal. Another case-controlled study fed 20 healthy adults between 5–7.5 g of allulose combined with either sugar maltodextrin or just maltodextrin on its own (16). Those who consumed the allulose experienced a significant reduction in blood sugar and insulin levels compared to the group that consumed maltodextrin alone. Whilst these smaller studies were able to show benefits, another similar study in 25 adults failed to show any significant effects on plasma glucose levels in humans (18). Although these studies are small, with many being conducted in animals, the results to date are encouraging. Providing protection from oxidative stress which can result in damage to the body, leading to a vast number of diseases, as well as contributing to premature aging (19). Reduces fat storage in the liver which may protect the body against fatty liver which is strongly linked to insulin resistance and type 2 diabetes (20, 21). Increase in energy expenditure which can help to enhance the potential for body weight control (20). From the available evidence to date, it would indicate that allulose does seem to be a safe sweetener. It has been added to the generally recognised as safe (GRAS) list by the FDA, however it is still not available in the European Union (EU). Studies within rats looking at long-term safety of allulose consumption have concluded no dietary toxicity was exhibited (22, 23). In the available human studies, all subjects received between 5–15 g (around 1–3 tsp) which appeared to provide no negative side effects. However, the effects of long-term ingestion (> 12 weeks) has not been investigated, with more studies being needed before long-term toxicity can be determined. Should You Add Allulose Into Your Diet? As well as providing a similar taste and texture as sugar, and being lower in carbohydrates and calories, it also appears to be safe to consume in humans. Although it does appear to be safe, the individual responses to this sweetener may vary from person to person. Some people may find that they are as sensitive to this form of sweetener as they are with other low-carb ‘friendly’ sweeteners. If you are looking to integrate allulose into your diet, it would be recommended to do it slowly and in small increments. Start at a lower dose (the lowest dose from the studies being 5 g) and gradually increase depending on how your body responds by measuring blood sugar levels and subjective measures such as bloating etc. When using allulose, keep in mind that it&apos;s 70% as sweet as sugar and just like erythritol, you will need to use slightly more to achieve the sweetness of sugar (about 1 1/3 cups of allulose for every cup of sugar). 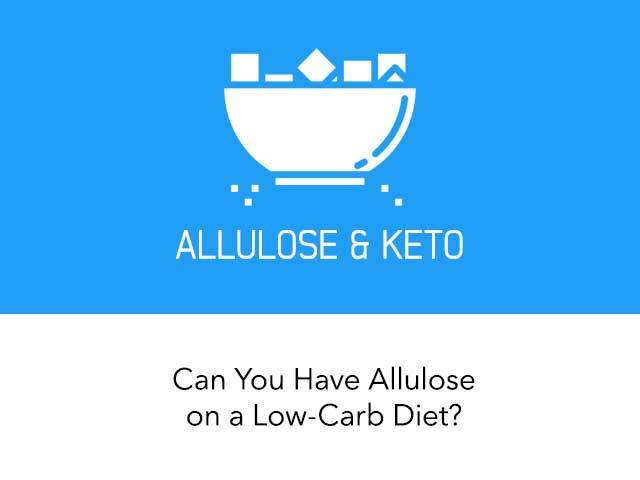 Unlike erythritol, allulose doesn&apos;t seem to crystalize and is suitable for low-carb recipes including low-carb ice-cream, keto marshmallows or sugar-free caramel sauce. Also, if you don&apos;t like the aftertaste or cooling effect of erythritol you are going to like allulose. Allulose has browning properties (although not as much as Swerve), can caramelize and be used as topping in low-carb desserts like creme brulee. Allulose-based sweeteners are available on Amazon and some health food stores. Whilst allulose does appear to be a new, low-carbohydrate friendly sweetener, it should still be approached with some caution. There is a lack of robust studies that have been carried out in humans, especially around long-term consumption. Individual variations to the sweetener may also exists and so people should assess this based on how their body responds. Sounds like a great alternative to Stevia. I do wonder when these products lower glucose by increasing beta cells if the increase in insulin ultimately increases insulin resistance. Given the fact that it circulates in the blood, remains there unmetabolized until filtered by the kidneys, and has a molecular formula similar to fructose, shouldn't we beconcerned about resulting protein glycosylation and advanced glycosylation end product formation?